TEOS is the new Selection and Quotation Software Online ready to satisfy all customers requests with few clicks. 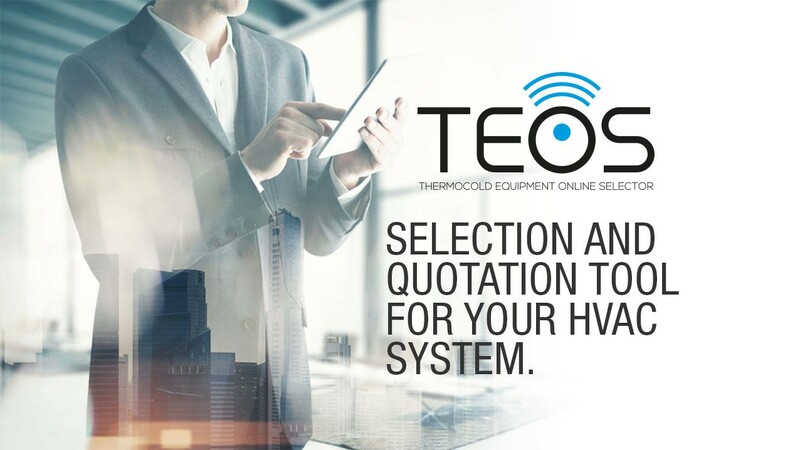 Made by Thermocold to optimize time and costs of your quotation activities, TEOS is now online and ready to use. With a simple internet connection you can start your quotation session using all type of laptop, tablet, smart phones access. WHAT’S NEW COMPARED TO THERMOSEL? Data record of offers and customers. Updates available in real time to make selection and quotations. HOW TO GET YOUR ACCOUNT? Registering a new account is very simple with TEOS! Just click on the following link or click on TEOS icon available on Thermocold.it homepage: you will access to the registration form that must be filled with all your information. After the registration, a notification e-mail will be sent to confirm that your account has been successfully activated. Go and create your account!